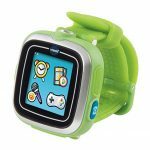 The smartwatch is the latest development in mobile device technology and one of today’s most popular gadgets. Advances in technology are enabling wearables to get smaller and more useful, smartwatches being a perfect example of this trend. 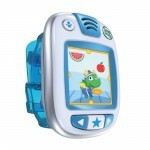 Possibly more mobile than smartphones, these watches are super easy to access since you wear them right on your wrist. 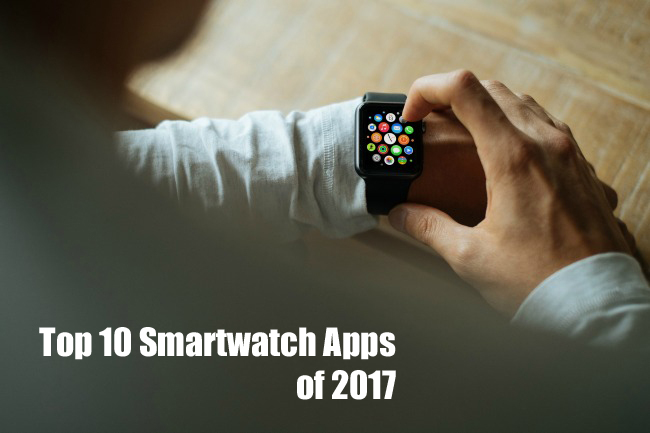 Just like with smartphones and tablets, you can download apps for your smartwatch to make it more useful, entertaining and informative. Without the right apps, though, you could be missing out on the full potential of your wearable. If you’ve ever gone for a run and tried using your phone to track your mileage, you’ve probably realized bringing it along isn’t the most comfortable thing in the world. 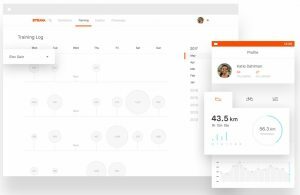 With Strava, you can record your running and cycling workouts through your smartwatch. The app tracks your workout, analyzes your performance and connects you to other athletes who use the app. The app is available for free on both iOS and Android devices. If you like being active and want to keep track of your workout routine, this is the perfect app for you. If you use Uber from your smartphone, you’ll love it on a smartwatch. You can do everything you would normally do from the smartphone app right from the device on your wrist. You can request rides, check driver information and location and get arrival time estimates. 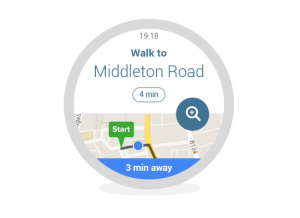 If you want an even more convenient way to use Uber, drive its smartwatch app. Uber’s app is available for iOS and Android devices. The app is free, but you’ll, of course, need to pay your driver for your rides. Quartz is an innovative way to provide people with news, and it’s perfectly suited for the smartwatch. It operates like a text conversation between Quartz and the user. You choose what topics you want to receive alerts for. The app will then you short headline “haikus,” charts, pictures, GIFs, and links. Based on the short blurbs the app sends you, you can choose whether you’d like to look deeper into that particular story or not. If you want a quick, convenient to stay up to date with the latest happenings, you can get the app for free on Apple and Android. Lifesum is designed to make it easy to get healthy. To use the app, you choose a health goal such as losing weight, gaining muscle or exercising more. Lifesum then creates a plan for you and helps you follow it. 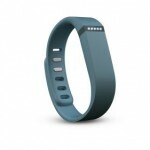 It’ll give you reminders, motivational messages and exercise tips. It also allows you to see your progress and connect with friends as well as import information from other health apps. The app is free to download on iOS and Android but requires a subscription to use. A three-month subscription costs $21.99, six months cost $29.99 and a year costs $44.99. Evernote has become the go-to app for organizing your life, remembering things and becoming more productive, and it’s now available for smartwatches. You can take notes, set reminders, create to-do lists and store information from business cards. 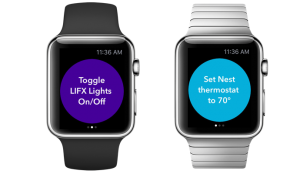 The app syncs your data across all of your devices, so you can receive notifications for reminders you created on your phone on your watch. The app is available for free on Android and Apple devices. If you want more storage space, you can get a plus plan for $2.99 per month or a premium plan for $5.99 a month. 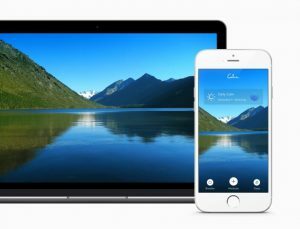 Calm is an app that’s designed to help you improve both your mental and physical health. It offers guided meditations, breathing exercises, sleep stories and nature sounds to help you relax and sleep better. You can choose from a variety of topics such as “managing stress” and “focus and concentration,” and you can select programs of different lengths. For example, you can choose from programs that feature daily exercises and last from a week to several weeks. The app tracks your progress with these courses. Calm is available for both iOS and Android devices. It’s free to download but requires a paid subscription for full access. It costs $12.99 per month, $59.99 per year or $299.99 for unlimited access. Wouldn’t it be nice to just look down at your watch and check the weather? Well, you can do just that with the Weather Underground app. The app offers a quick-glance update as well as a 10-day forecast and a weather map. The information is sourced from over 250,000 weather stations, so it’s pretty accurate. You can stay on top of your local weather by downloading the app for free from the Apple app store. Getting around in the city can be complicated. If you want to make it easier, try the Citymapper app. It provides you with information about available buses, trains, subways, cabs and bike shares. If there are delays in transportation schedules, Citymapper will let you know. It’ll also show you the best walking and biking routes. You can get Citymapper on both Apple and Android devices for free. It’s currently only available for certain cities but will likely add more soon. With Google Keep, you can keep track of everything going on in your life and then access that information later from your Google Drive. With this app, you can create notes and lists, set reminders and add photos. You can also control the app with “OK Google” voice commands and dictate your notes while the app transcribes them for you. You can add collaborators to notes, so you can work on things with other users as well. If you want an easy-to-use app for staying organized on your Android smartphone, download Google Keep for free on Google Play. IFTTT stands for If This Then That, which perfectly describes what the app does. It allows you to create recipes that connect separate apps and causes them to automatically take actions you preset. For example, you could use the app to automatically send pictures you take with your phone to your watch or send alerts to your watch when your weather app gets a severe storm warning. The sky is really the limit with IFTTT. If you’ve ever found yourself wishing you could get more functionality out of your apps, give this tool a try. It’s available for free for Apple and Android smartwatches. 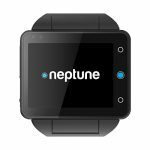 With the advent of the smartwatch, mobile devices have become even more mobile and convenient to use. As advances in wearable and mobile technology continue, it’ll be exciting to see what all we can do with our mobile devices in the future.